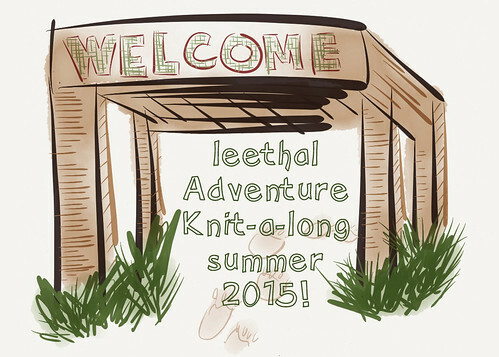 Third annual summer Adventure Knit-a-long! It’s coming! 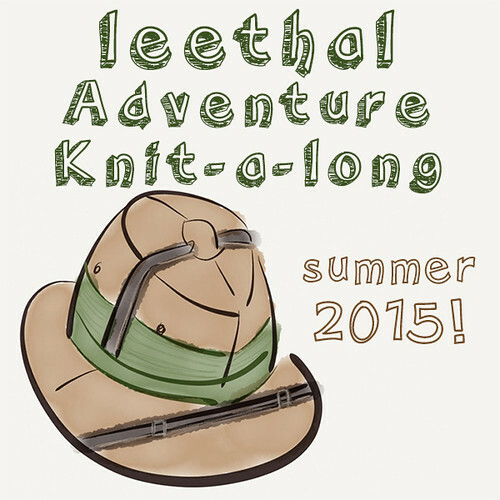 This year’s leethal Adventure Knit-a-long starts in July! 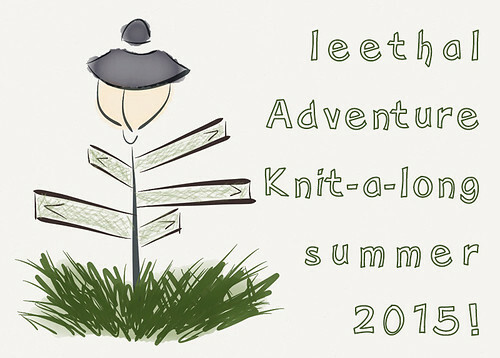 It’s released for pre-order now, on my site and on ravelry, and you can start chatting about adventure plans in the leethal rav forum. If you sign up, you’ll automatically receive each pattern section on the release dates, and the complete collection ebook when it’s all over. If you join the KAL, you’ll be choosing from several different accessory items to make, selecting design details for your item, and picking from a wide variety of different stitch patterns to use. Techniques used and experience level required depend on the choices made, so if you want to make a really simple, mindless kind of piece, that will be possible; if you want to make a crazy complex piece with lace, twisted stitches, cables, short rows, and more, that will be possible too! The way the sections will work this year will be a bit different… I won’t reveal much now, but because of the structure, and the fact that there are several small-ish kinds of items, this KAL will be very inviting to making multiple items if you want to. As for the theme, some of that is part of the mystery, but I’ll tell you this: there will be animals. The pre-order pdf gives you a bit more theme info (not much), and these drawings show a glimpse of where the adventure will take place. There won’t be so much of a story like there was last year – I’m focusing on the knitting itself this year – but there should be some fun drawings and stuff, and I might throw in an extra non-knitting item for fun, still planning these extra details out. 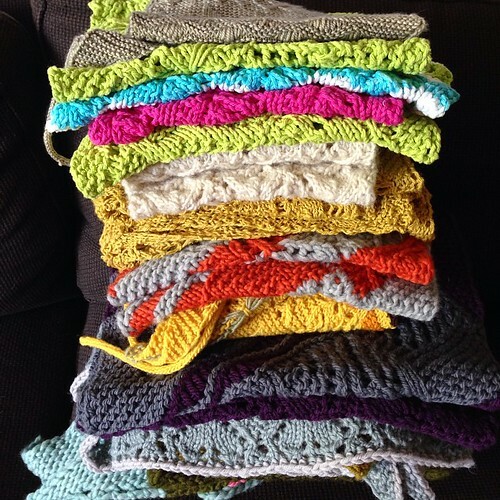 This year there will be prizes given out at random to KALers with ravelry project pages! Details about that will be announced in the ravelry group as things progress, but basically, make sure you put up your ravelry project page(s) once you get started knitting, as prize drawings will be based on those. All items and stitch patterns will be for any gauge / yarn weight, but if you use a heavy weight yarn, you may have fewer options for stitch patterns. Most patterns this year are for one single yarn, but that yarn can be multicolored – stitch patterns may be obscured by very contrasty variegated yarns, but more subtle variegation, or gradient style colorways with blending stripes, may be a very nice fit. There will be an option for a two-color design as well, so if you have two solid colors you want to use together, that’ll work too! Most items will use one or two skeins worth of yardage, so if you have one good single skein, you will definitely be able to use it! 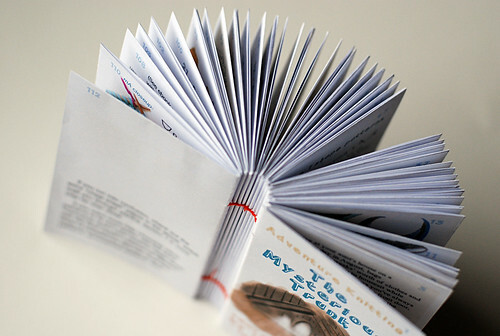 Above is the DIY bound book from the first year’s collection – KAL pattern sections come to you both as normal pdf pages, and as printable, foldable book pages, which you can bind together when the collection is complete and make yourself a book like that! 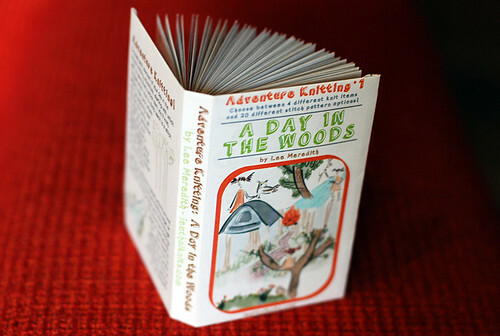 And all complete Adventure Knitting collections (post-KAL) are available as ebooks, which include these printable pages, so you can make the books of each collection for your bookshelf. Also, post-KAL, the collections are turned into print books, for those who prefer normal books over KALs and DIY books – something for everyone! 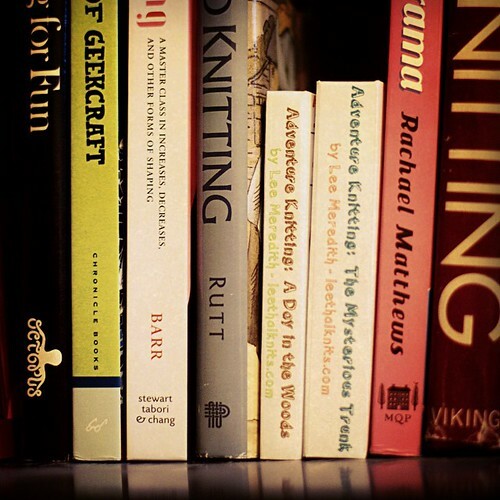 Below are the first two Adventure Knitting collections on my shelf – A Day in the Woods and The Mysterious Trunk – and last year’s in the print book format. This year’s will be the same – a collection of items, with tons of options; right now, the KAL is listed as an ebook on ravelry, with just one “mystery item” as a placeholder. When the setup section pdf is released to KALers, the items will be revealed and pattern listings will go up for each item type. Of course, projects of the same item type will all look different, depending on stitch patterns used, and also yarn weight, etc. I’ve been designing all the stitch patterns over the last few weeks – pictured below is one of my swatches, over 20 different stitch patterns tested out in a row, many of them successes (many not!). The structure of how the stitch patterns will work within the pieces is different from the last two years, and I’m really loving how it’s all coming together! Things haven’t been plugged into pattern pages yet (mostly working from charts for now, while I plan it all out), but I’m really hoping it all comes together a bit more compactly than last year’s collection, which got kind of overwhelming and huge (112-page DIY book pictured below). 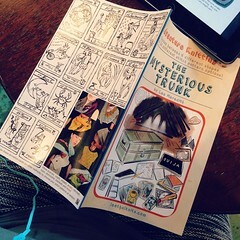 I LOVE last year’s collection – the knit items, the stitch patterns, the theme, the fortune telling objects – but it did get a bit out of control with the amount of time I spent on it, and getting the collection to fit into the print book format was quite the challenge. So, come adventure with us – the group is already chatting about yarn choices and stuff. Also, there’s a casual KAL thread for making projects from the first two Adventure Knitting collections, for those who want some adventurous knitting fun this month before the official KAL starts! This can be for if you’ve just now discovered Adventure Knitting and want to try out one of the previous collections, or for if you are already an owner of a previous collection and want to maybe make another item from it while you await this year’s KAL. Oh! 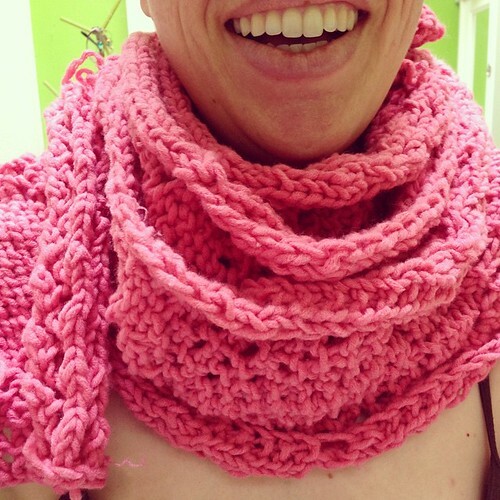 Speaking of instagram – use #AdventureKAL on whatever social media you’re into, when posting about your KAL projects. Of course, ravelry will be the main place for sharing projects (both project pages, and leethal group forum), but we can also check in with the hashtag for sharing beyond rav! I think that’s all for now. Any questions? 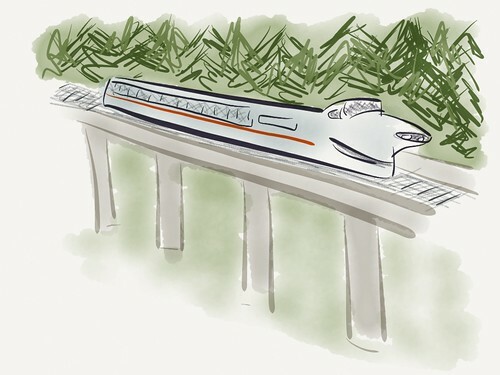 Ask them in the rav group and I’ll answer what I can… Yay Adventure KAL! I’m so excited!